The idea that the United States is "running out of money" and have to "tighten our belts" is a common trope in American media; the premise that the US government is like a household that must balance its books is largely taken for granted by liberal and right-wing outlets alike. But is this premise correct? Is it true that the United States is over-budget and ready to explode with insolvency? Where does this conventional wisdom come from and whom does it benefit? On this and next week's episodes of Citations Needed, we seek to answer some of the questions. In Part I: Single-Payer Propaganda War, we examine the primary talking points against single-payer healthcare and other big government programs and how to combat them with guest Stephanie Kelton. 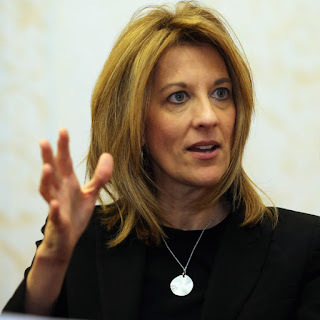 Stephanie Kelton is a professor at Stony Brook University and former Chief Economist for the U.S. Senate Budget Committee. She served as Economic Advisor to the Bernie Sanders 2016 campaign and is currently a Fellow at The Sanders Institute and Chair of Board Economists for Peace and Security.